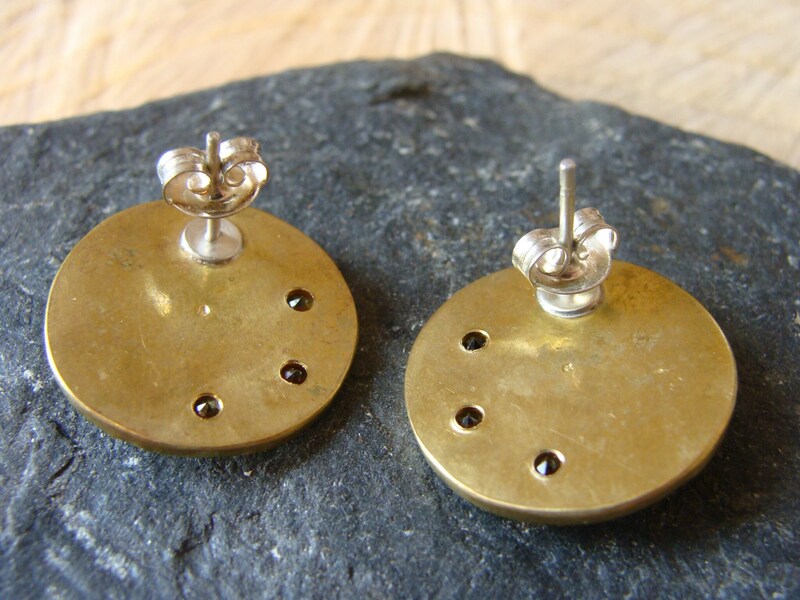 Pair of round earrings, brass, finely chiseled. 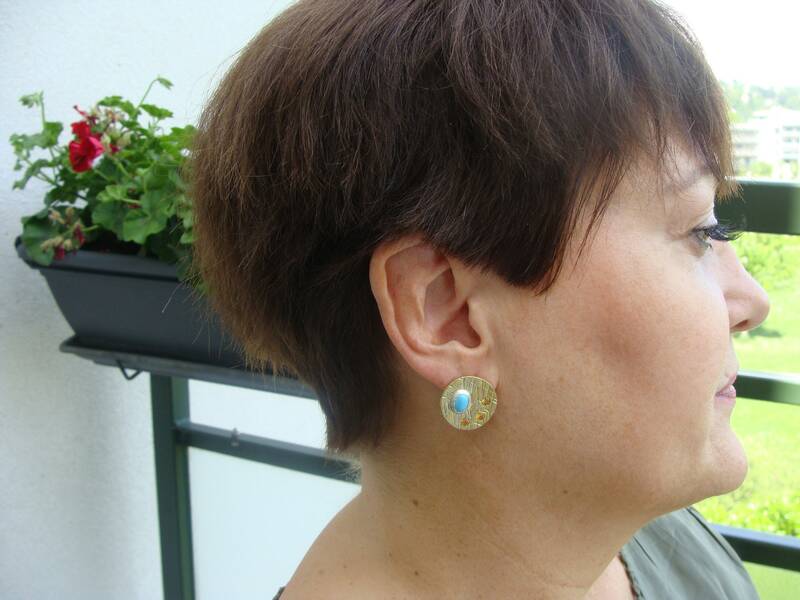 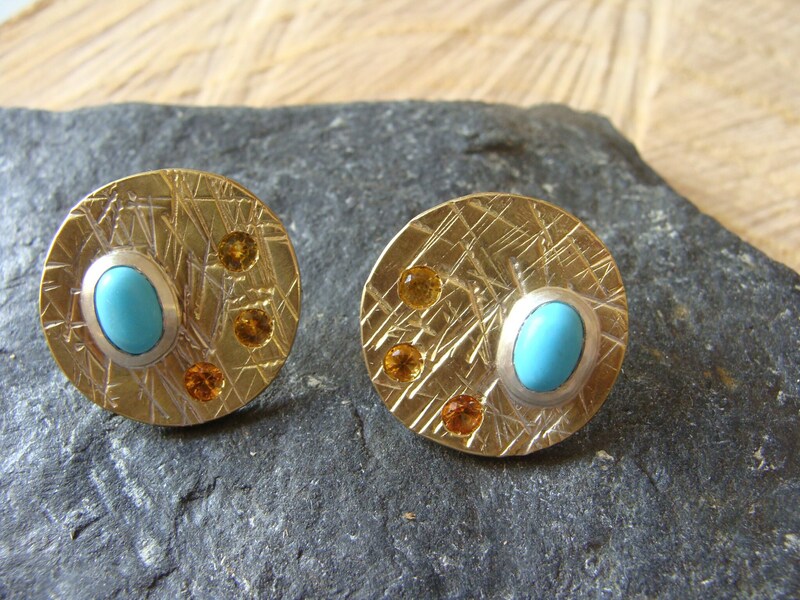 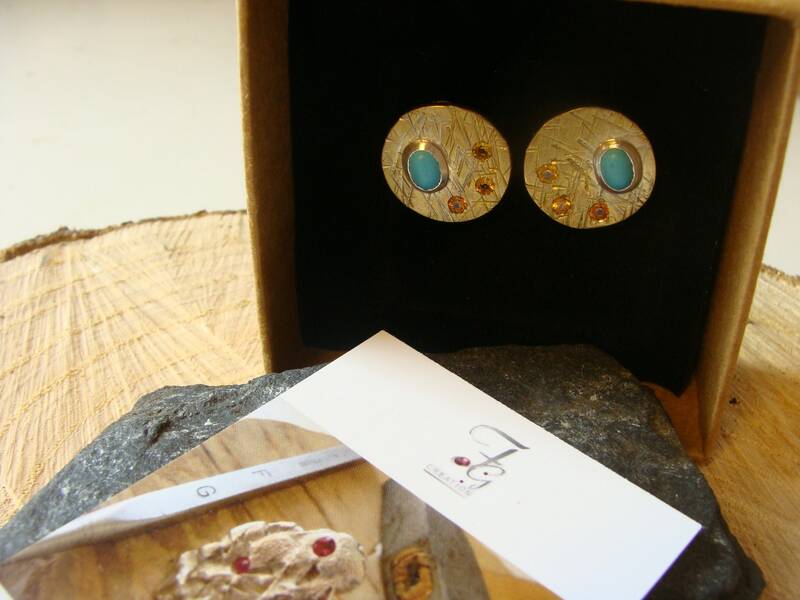 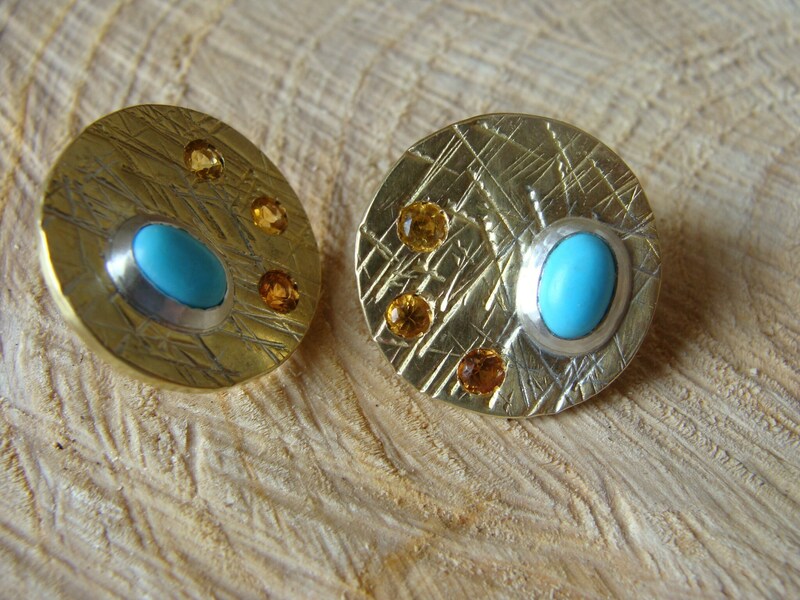 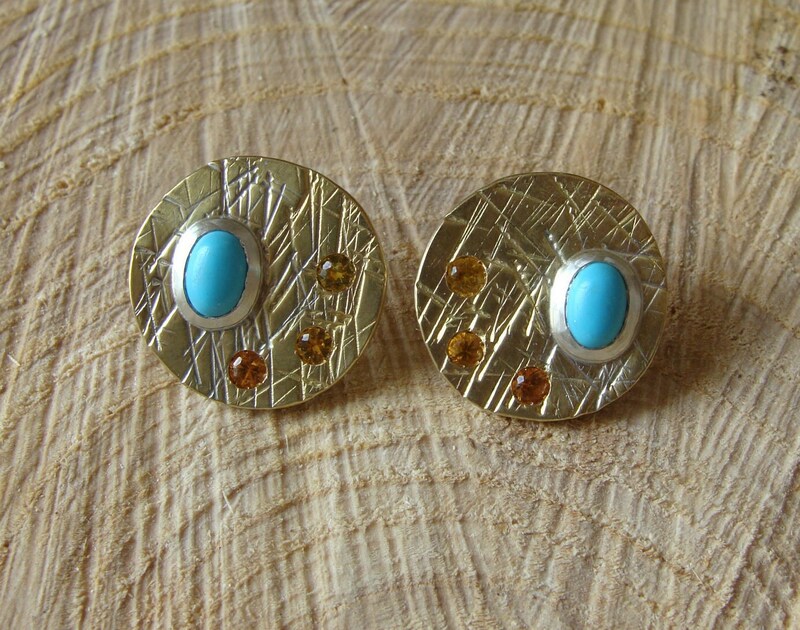 They are set on silver of a reconstituted turquoise (imitation) and three yellow sapphires, gradient color! 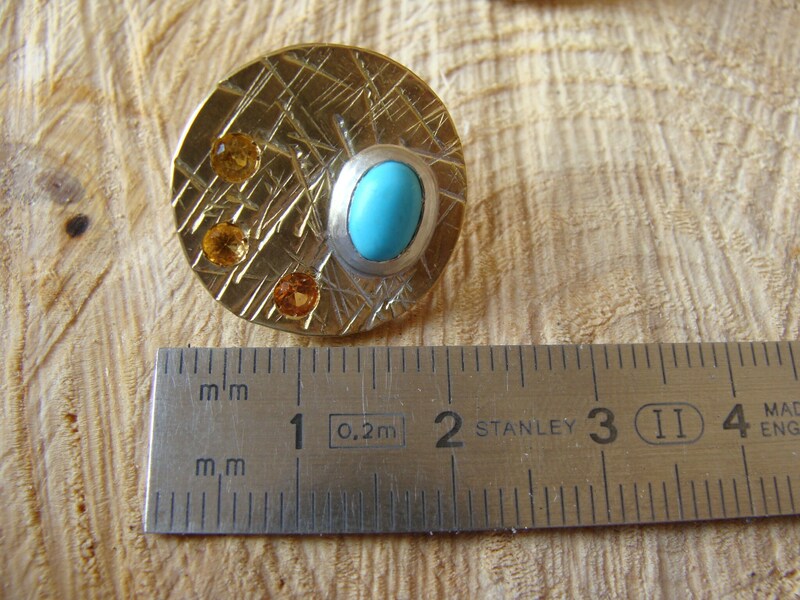 The rod is silver and stroller silver clasp. 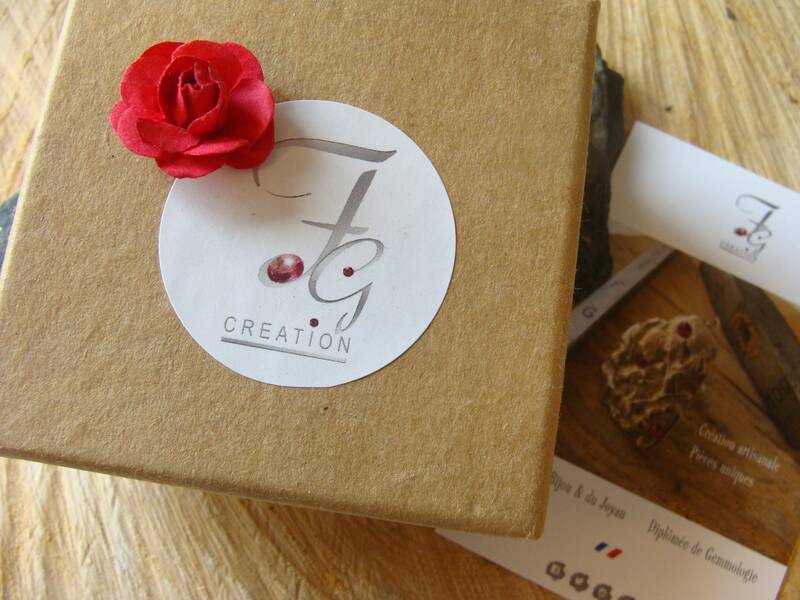 Entirely handmade, in our workshop Lyon!